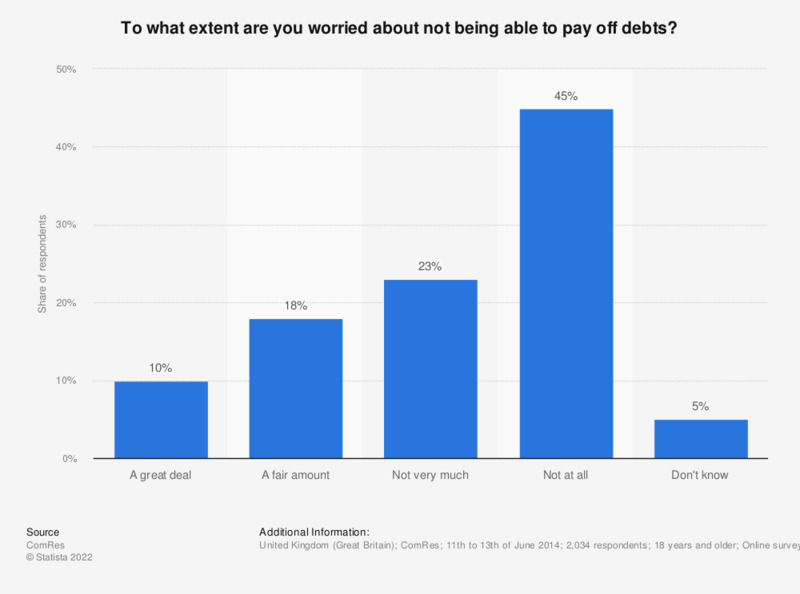 This statistic presents the extent of British worries regarding the inability to pay off debts, as of June 2014. Approximately 28 percent of respondents worry about it "a great deal" or "a fair amount". The question in full reads as follows: "To what extent, if at all, are you worried about each of the following? Not being able to pay off debts."